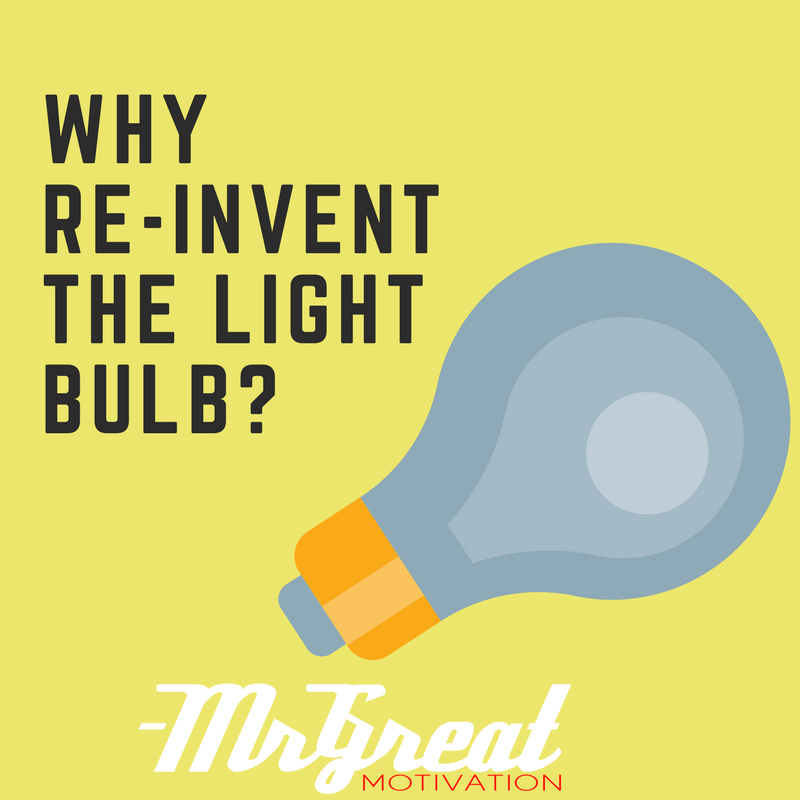 Home Article Why Re-invent the Light bulb? I am sure you realise that it took Thomas Edison many, many tries before he perfected the light bulb. Someone asked him one day if he grew discouraged by his failures. He answered, “I haven’t failed, I’ve discovered one more way how not to make a light bulb”. You see, there is no such thing as failure, there are only results. Someone once said that the definition of Insanity is to do something over and over again and get the same results. In order for our life to work properly we need to make some changes to the things we are doing. Just like a light can burn out, so can we. Life can become dark and depressing and we feel there is no light, no hope in sight. It’s a fairly dismal picture for sure. Let me shine some light on this situation (pun intended). When we are feeling so low and deep in the pits, this is when we need light to see our way through. Some of us are lucky enough to have some light on hand, others must go out and retrieve it. Many people try and invent light for themselves by thinking positive thoughts but it only takes them so far. It only gives so much light. There is more light available but people are at a quandary as to how to obtain it. We don’t have to be like Thomas Edison and keep looking at the problem and thinking of ways to solve them. How do we find the solution? We can try, as we said, to try and figure it out by ourselves, or we can find someone who has already surpassed this obstacle and do what they did. A small amount of great motivation required. There are many books on the market today related to great motivation and inspiration that can help us to understand how to overcome the obstacles in our lives. We need to read and learn from the failures of other people. They have been through it all before and can help to teach us how to go through it now. There have been great thinkers in our history and we are fortunate enough to have their trail to follow. We all need more light in our life. Sometimes we can’t see the light at the end of the tunnel but there is always hope and help, and that is enough for inspiration. Learn how others have overcome their challenges and keep that education inside of you so that when you are feeling low and life looks dim, you can pull out those resources to help you light up your life again. Don’t try to re-invent the light bulb, Learn how to carry the light within yourselves.